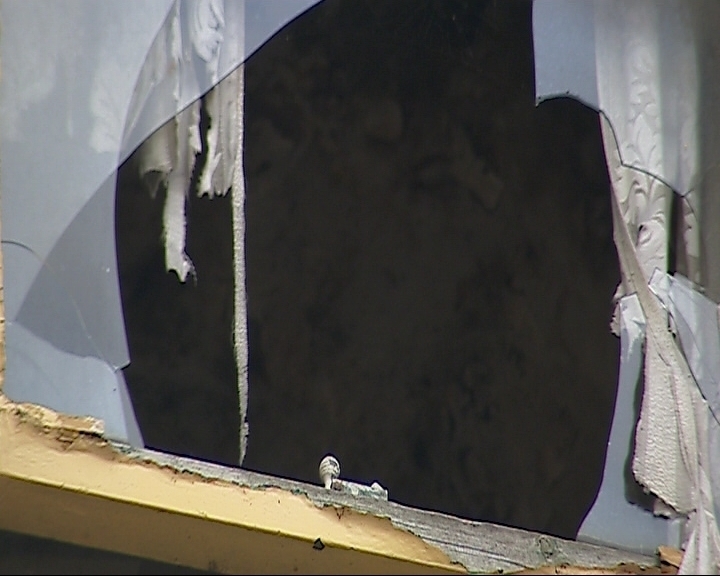 Houses continue to crumble and decay in one of the most deprived areas of Belfast despite plans announced over six years ago to completely redevelop the entire area in the north of the city. Now the Northern Ireland Housing Executive is saying it could be another five to ten years before any plans are complete. The small cluster of streets known as Parkside – located in the largely nationalist area just off the Limestone road, used to be known as one of the worst interface areas in the city. 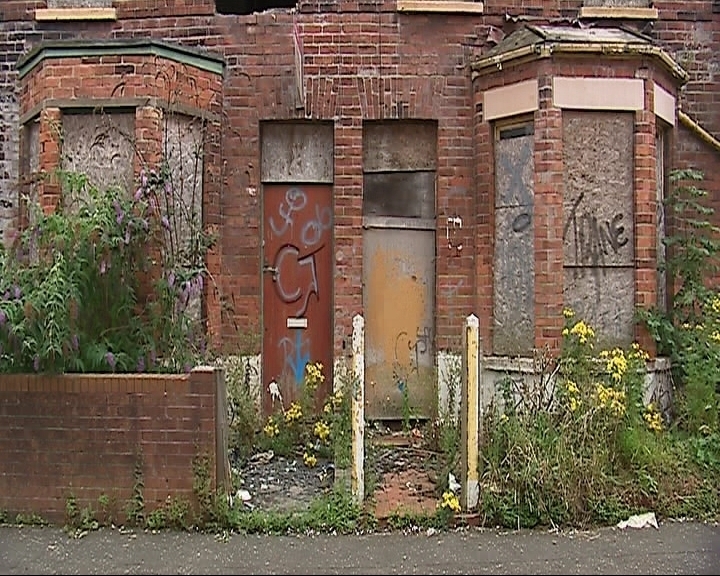 However, in 2005 when the Northern Ireland Executive identified the Glen as well as the Upper Long Streets and Parkside to be the focus of significant redevelopment activity, it looked as though some of the most underprivileged areas of north Belfast would be in line for a complete facelift. But residents have been left fuming as the area has slid into even steeper decline – thanks to failure on the Government’s part to get any plans off the ground. Now, following enquiries made by The Detail, and a week after plans to build 200 homes on the site of a former Girdwood army barracks in North Belfast were scrapped, the Housing Minister Nelson McCausland has made a rushed first visit to Parkside and cut the first sod in phase one of the new development scheme. Residents in the area earmarked for phase 2, however, have sent the Minister a clear message by presenting him with a protest letter. The letter on behalf of the local residents group demands an explanation as to why the project went from full development to part redevelopment and why it has been left to fester for so many years. Originally, in 2005, the regeneration proposals for Parkside outlined an £8.5M redevelopment, encompassing a complete new build for all the housing in the catchment area. Residents were optimistic, but as the years went by with no action, this began to fade. This plan came from the Housing Executive but it is now clear this was overruled by the Department of Social Development – although when is unclear, given that four years passed before many of the residents were informed of a change of plan. Minister Ritchie had claimed she was making housing her first priority after seeing for herself some of the awful conditions that people in area were living in (see video here). Soon after – in June 2009 – she announced plans to invest £38m in housing throughout north Belfast, phased over a number of years. At the time she said she had ring-fenced funding to allow work to start immediately. Parkside was included in the plan and it was the first time the residents saw in black and white what they suspected – that the government had diminished its plans for their area. However it did not indicate why it took four years for the situation to be clarified. With a new price estimated at £6.4million, the updated plans were £2.1m cheaper than the original proposals, but it would cost the department and NIHE the trust and support of many of the residents. But even the scaled-down plans faced more hold-ups; it took a full year for the government to take the first step – May 2010 – and even that was only the launch of a consultation process on the broad north Belfast strategy, rather than actual building work. On the 25th May 2010, during an assembly debate on the urban Renewal Area status of the Upper Long Streets, MLA for the area Carál Ní Chuilín raised concerns that residents were being kept in the dark on issues critical to their welfare. “The key to the matter is the involvement of residents, their families and the community in the redevelopment. Unless there is clarification about the very welcome decision, the sparkle of a very good news story, which is almost a week old, will dissipate. It is important to spell out the detail on procurement. In the meantime, the Housing Executive was preparing the ground for work to begin in various deprived parts of north Belfast – but again the plans would stall again. In June 2010, the Board of the Housing Executive approved the new regeneration plan. They then started the process of vesting the relevant land in Parkside which would allow them to do the work. This involved, firstly, submitting a re-development scheme band application for a vesting order with the Department, which they did in June. Secondly they started another consultation with the Parkside residents and their representatives on the vesting plan. So in May and June 2010 there were two consultations under way which the residents of Parkside needed to engage with to get the work done: one was on the broad plans for north Belfast which was being run by the Department; the other was about the vesting plan and it was being run by the Housing Executive. Since the consultations were launched, living conditions have continued to slide. The Detail understands a number of the residents in the “phase 2” part of Parkside objected to the vesting plans for their homes and have sent letters to the Planning Service. Another year down the road, the vesting issue has not been resolved with all the residents – and is being cited by DSD as the reason for no work being carried in this area as it becomes increasingly uninhabitable. Until the Government’s processes are all complete, all plans for these streets will effectively sit on the shelf at the Department and it’s still not clear who is responsible for breaking the deadlock. Leaflets distributed by the Housing Executive to Parkside residents in February of this year say they’re awaiting approval for the vesting from DSD and that, once they get the go-ahead, work will be carried out in the next five to ten years. So, according to the Executive, it could be 2021 before a plan which was drawn up in 2005 for 45 houses on three streets is seen through to completion. The current stalemate is the latest episode of bureaucracy and inaction impacting on living standards in Parkside. Noreen Docherty has lived in the area all her life. Ten years ago she and her husband made the decision to buy their house after renting for a number of years after another government promise of redevelopment – made by the then Social Development Minister Maurice Morrow in 2001 for all of North Belfast – including Parkside. Before the 2005 plans for complete rebuild of Parkside were put forward, the Dochertys were reassured by the Housing Executive that they would be protected and, when the redevelopment happened, that they would get a new house, but this wasn’t to be – and as a result their house continued to fall into disrepair. “Somewhere along the line somebody in the Department decided that a complete redevelopment was off the cards and that most of these houses were in good stead and only some should be knocked down while others would be redeveloped. Our property fell into those that would only be redeveloped. The residents also believe that other areas benefited from the 2001 housing plans announced by DUP Ministers Morrow and Nigel Dodds. In 2005 just a couple of hundred yards from Parkside, 35 units of new build accommodation were completed within the Mountcollyer area of Tigers Bay with a Housing Association Grant element of some £3.01m – a loyalist area. Parkside residents say it has added insult to injury seeing the improvements across the peace line as the properties in their own area continued to decompose around them. 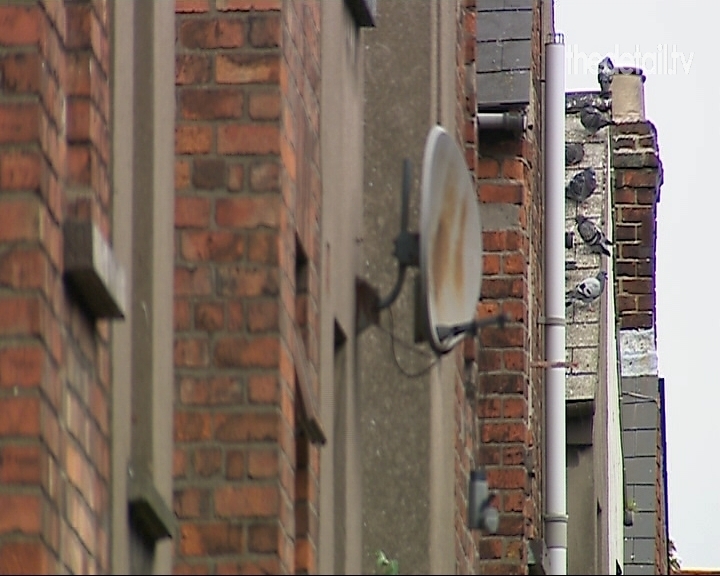 The abandonment of housing plans has been widespread across both communities in north Belfast in recent years. In January 2010 planning permission was granted to build 80 units of private housing in another part of Tigers Bay on a residual site in the Mountcollyer Urban Renewal Area. But, in a statement released in July of this year, the Housing Executive claims that due to the downturn in the housing market the scheme is no longer financially viable. Now with the plans for Girdwood in another part of North Belfast completely abandoned, it has left many Parkside residents wondering what the Housing Minister has in store for them. The Housing Executive claims that so far £3.4m has been spent buying owner-occupied properties in Parkside and that the wider preliminary phase in the Parkside Re-development Scheme has already begun with work by Newington Housing Association in nearby areas getting underway earlier this year. Construction of general needs homes went onsite in March 2011 in the Glen and Limestone Road nearby. The Detail started exploring the Parkside story in June and has been in contact with the Department and Housing Executive since then. The Social Development Minister visited the “phase 1” streets of Parkside on Tuesday of this week, cutting the first sod on a scheme at The Glen on Limestone Road being managed by Newington Housing Association. The Detail heard about it after the event; Parkside residents learnt of it a matter of hours before it happened and scrambled to prepare a letter of protest to present to him. A Departmental spokesperson said the minister’s visit had been in the diary for sometime but that it was not common practice to inform residents of an event of this kind. In a press release issued after the visit, Minister McCausland was quoted saying: “These new homes are the start of a major regeneration initiative for Parkside that will see it revitalised. The scheme will provide housing fit for 21st century living, while retaining the unique character of the Limestone Road. “We’ll have to wait and see what comes out of all this, but it is almost seems like the different agencies are working against each other, if you ring the housing executive they’ll say ‘oh that’s nothing to do with us, that’s not our phase go to Newington or go to the DSD’. So it’s hard to try and even figure out what’s going on. “It’s all well and good they can spin this as a good news story for this first phase but what about the rest of the plans that people aren’t happy about, never mind everything that has led us up to this point.